Well, it's still in development, so please be patient. 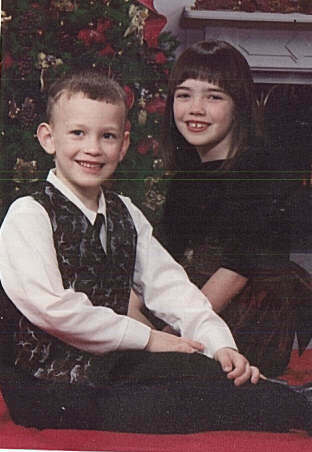 Here is an old picture of my kids, Tara and Brenndan, although now I have 4 total. Please sign my guestbook with any comments or reactions you have to my site. You can also contact me privately. I love to get mail!! 10/13/01 - It rained last night, and was very misty this morning..makes for a great day of writing.